When I saw him I just had to have him. His eyes did me in. I always fall for eyes which look at me with sincerity. These were so alive! Of course, he has a permanent place now. :-) With eyes like those, he had to! And he is a soft toy, no? such a cute baby..so, you got this one as pet?.. wow..
You do not know me but I do! Your book was gifted to me by Naaz in Pune. I thoroughly enjoyed the book. I would love to meet you when you are in Pune. Your writing indeed inspires me. However, the reason for this mail is one of my friends too read your book and wrote an article inspired by one of your articles. I just thougth you should KNOW. I spoke to Javed and he guided me to this site. Can I forward that article to you? Please let me know. I have forwarded that article to Javed and for Naaz. Yes, I too make feeble attempts to write (sensible) and send a 'Tuesday mail' to few of my interested friends. All the best for everything you want to do in life. 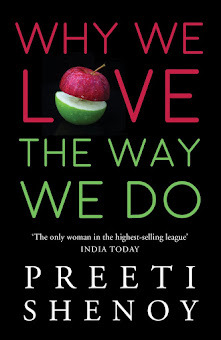 hey Preeti... even I fall for eyes that look at me with sincerity! And also voice which has a lot of sincerity in them! wat hav u named him!? Srivats: yes--it is a garden statue. Wow! You're getting a pet?! How will you look after? Guruprasad: Got him home without a moment of hesitation :) He occupies a place of pride in the centre of my garden table :) Very right about wearing sun-glasses. Especially if you are married. LOL. Pointblank: Yes--eyes are windows to the soul. Naren: What a delight and a pleasant surprise to hear from you! I do know you as Naaz and Javed constantly talk about you. Naaz is a very very good friend. I'd love to be added to your Tuesday mailing list. 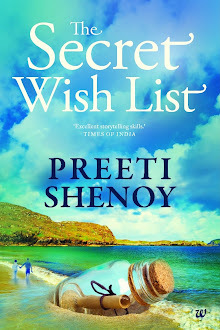 And do send me the article on ps@ preetisatish.com (with no gaps) Great to connect and thank you so very mch for your encouragement and kind words about my writing. Mindspace: yes--but a pet that needs no care. It is a garden statue. So lifelike, right? Yes, it looks totally alive. but for a second i did think if its for real coz it was looking straight into the photographers eye which is so rare. Meira: No--He is made of stone! Garden statue that i recently bought! Prats: Not a soft toy. looks like that right? See comment above. Sukhmandir: yes! Especially when you enlarge and see--the eyes seem to leap at you! Hasn't anybody listened to the SONG? Can you all see the Media player? Nobody has said anything about the song! The kids came running when I put the song & we swayed together in rhythm till the end of the song:-)). Oh puppies have the most curious adorable set of eyes ever! Even deers as do cows and deers. Sometime, I call Sachin "puppy eyes" when he turns on his "pretty please, can you bake me a cake" look! :-) Beautiful pic this one!! Heard the song just now ... Its so awfully cute and I rem my first love, Bruno, who is no longer alive. :-( He was the cutest and I miss him so! Oh god, he is so cuteee....!!! look at the eyes and the nose! Neha: :) Available here.Shipping would be expensive! Thoughtful train; Yes--loss of a pet is very very hard. I used to have two dogs too. Reflections: :) Thank you thank you! Now here's proof that you've only become a half Brit. When you get a real one, then I know I have to say pip pip and toodle oo to you ! Pups, Kittens, Rabbits, Bears(all of them ofcourse as stuffed toys)... are the ones which my wife is crazy about. The 'doggy' photograph looks nice. I am sorry I can't listen to music, here in office - would connect at home and let you know. Jus happend to stumble upon ur blog...the pup is sooo cute...whts his name,btw? Reminds me of the numerous puppies me & bro tried to bring home but were turned away . One day, I would have a dog of my own :). Where did you get that song from ? A perfect candidate to be played in the kindergarten near my place :). Chitz: Welcome to my blog. Chirpy-paro: Its a classic song--"how much is that doggie at the window?" Nandu: Hope you have a great weekend too :) and may your dangerous dreams never come true! Ramesh : hee hee--I always loved dogs. i used to have two. The mail I sent to you at ps@pritisatish.com has bounced back. This pic reminded me of the cat from Shrek, really cute pup!